PSX 501 Range: 2.5 oct (F5-C8). Bars: African Padouk 30x19 mm. Pitch: A=442. Performing Standard 500 Series. The perfect solution for the starting mallet player. 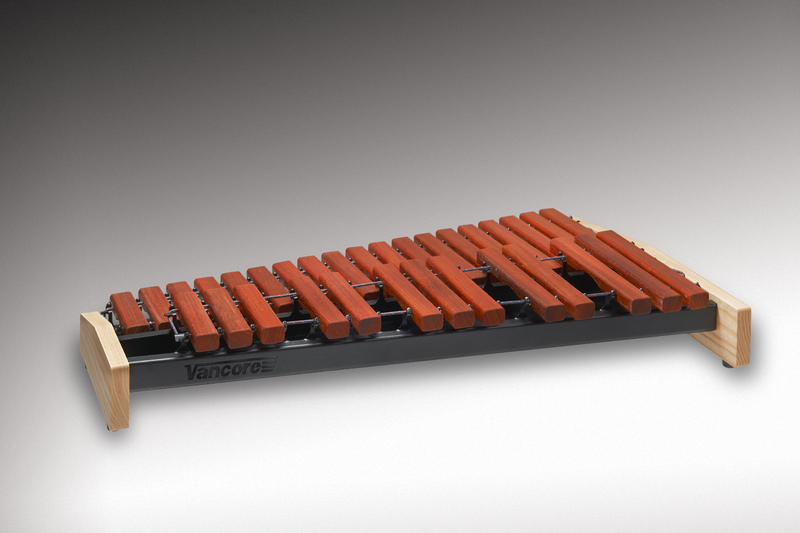 a top quality xylophone fitted with rich sounding selected air dried padouk or solid vibercore bars. The instruments are eqquipped with an natural looking solid ash frame and special designed suspension pins. Available in 2 different models.